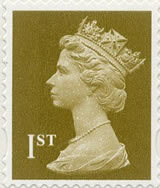 UK Royal Mail Postage Stamps to Soar in Price by 14% During 2011, Stock Up Now! With other services such as Special Delivery rising by 8%. People can beat the price hike by stocking up on first and second class stamps that do not show the actual penny prices on the stamps i.e. just 1st or 2nd, so that they can be used after the April price hike.